From New England to Florida and across the USA 21-Yr-Old business guru, award-winning novelist, international charity founder, lyricist & composer, RJ Tolson, leads by example for millennials and cites legendary composer John Williams as inspiration. 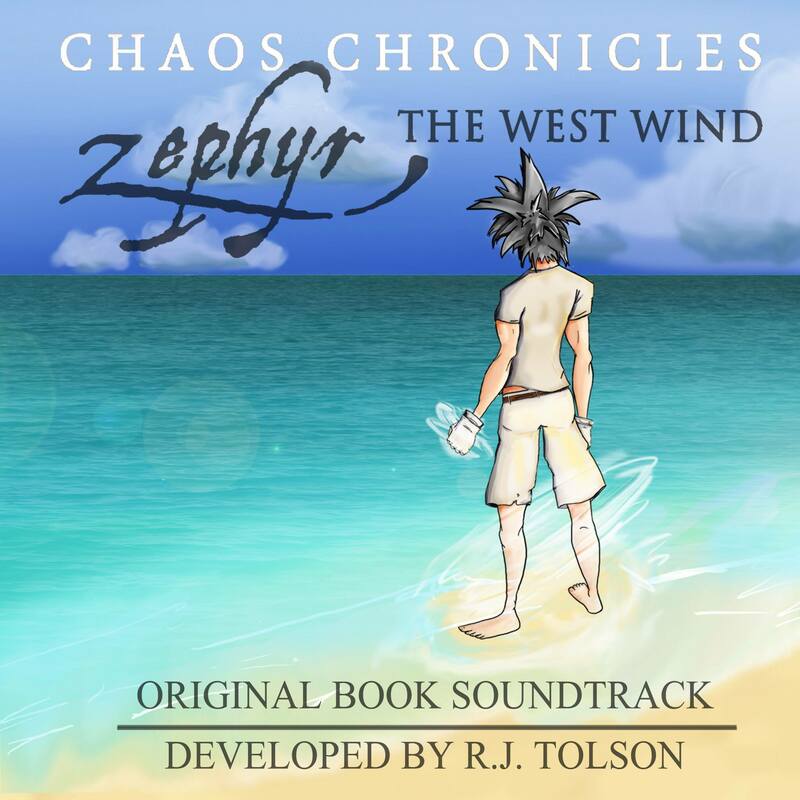 "Zephyr The West Wind Original Book Soundtrack"
LOS ANGELES - July 24, 2014 - PRLog -- "I hear young people of all ages saying they never really thought they could make any of their dreams come true" says 21-year-old CEO, international charity founder, award-winning novelist, RJ Tolson, an English and Political Science double major...."But I'm here to tell you, where there is inspiration there's a way." At only 17 years of age and while still attending high school at Cheshire Academy in Cheshire, CT, RJ Tolson began posting chapters to his Chaos Chronicles Book 1: Zephyr The West Wind, an action & adventure filled extravaganza of superheroes, mysteries, mythology, magical realism, fairy tales & folklore, alien beings, paranormal power & creatures of epic proportions, myths & legends and love & romance, to Wattpad.com, a youtube equivalent for writers. Tolson's Wattpad fan base grew rapidly to many thousands and unbeknownst to Tolson, London's Universal Kingdom Print Publishing Group was amongst his loyal followers. In fact, so much so that in less than a year Universal Kingdom Print signed the 18-year-old Whittier College freshman to a five book Chaos Chronicles Series with Zephyr The West Wind the first in the installment. Within a year of signing with Universal Kingdom Print, Zephyr The West Wind garnered RJ Tolson a Finalist Award in the 2013 Beverly Hills Book Awards and National Indie Excellence Book Awards. 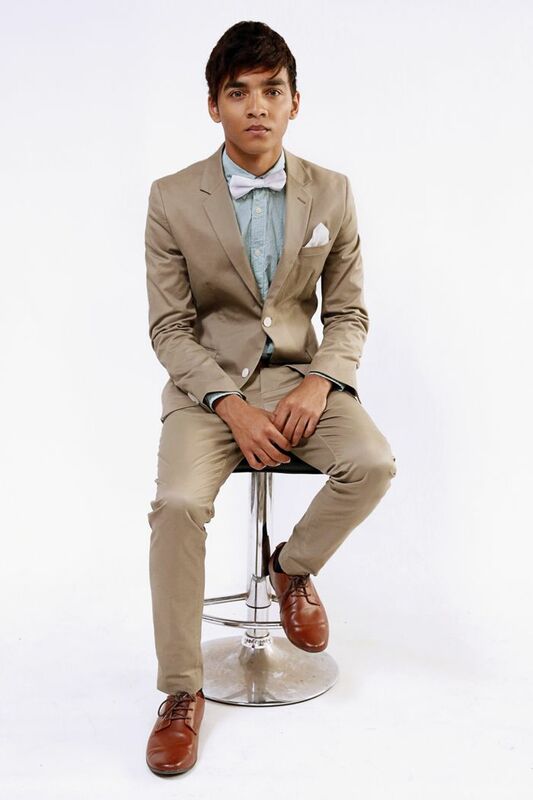 At that same time and only 19-years-old, Tolson launched a National Literacy Campaign. Traveling from New England to Florida and across the West, he urged middle and high schoolers to forge new paths and excel chiefly through the skills of reading and writing. Shortly thereafter, this movement became the impetus for Tolson’s recently released nonfiction self-help book, Project Limitless Volume I: The Success Initiative, and part and parcel of Tolson's The Success Initiative are the interconnectedness of success & innovation, motivation & improvement, consciousness & thought, philosophy, epistemology, entrepreneurship, business, money, investing and time & stress management. While RJ Tolson is committed to encouraging all young Americans to excel to their full potential, he has a special interest in ensuring his message reaches Latino and African-American youth in low income areas. During an interview on NBC Telemundo Emmy Award-winning national and international television morning show, "Un Nuevo Dia", Tolson shared his efforts to get more youths reading and remarked, "Imagination is the main key....by reading and using their imagination they can be successful." RJ Tolson shared similar sentiments last May with the predominantly Latino student body at Whittier High School in Whittier, CA and African-American middle and high school student body at Oscar Nominee & Emmy Award-Winning Actress Cicely Tyson's Community School of Performing & Fine Arts in East Orange, NJ. "What you guys have to recognize is you have global competition out there” Tolson emphasized “...when you have that competition you have to achieve, strive to be great. If you don't you're really going to lose the opportunities like jobs, achieving your dreams." Given he at just 18 years of age founded a multi-divisional corporation and international charity, Forever Trust, which supports 58 U.S. based international relief and development organizations, hearing such a message from him resonated with the students. Tolson's creative talents don’t stop with literary works or business. He is a musician, lyricist and composer and cites legendary composer, conductor and pianist, John Williams, and Williams' award-winning compositions to such films as the Star Wars series, Superman and the first three Harry Potter films, as an inspiration for his newly released Zephyr The West Wind Original Book Soundtrack. "I recall visits each summer as a little boy to Tanglewood in Lenox, MA with my grandparents to see John Williams conduct the Boston Symphony Orchestra" comments Tolson. "My grandmother was originally from Gt. Barrington, which is near Lenox, so whenever we visited one of her favorite things was to see John Williams and the Boston Symphony perform. Those performances and amazing compositions, particularly the Star Wars series, left a lasting impression and inspired me to compose." Compose RJ Tolson did and directly after his first semester at Whittier College he interviewed with the Boston Symphony for a composers summer internship. The interviewing process entailed not only Tolson’s composing a piece but a solo guitar performance of his composition before John Williams and other judges. Much to Tolson's delight he received a score of 10 from Williams, with 10 being the highest possible score. The impact of such classical music geniuses as John Williams is certainly evident in RJ Tolson's newly released Zephyr The West Wind Soundtrack. Tolson's touching and award-winning coming of age, metaphysical & visionary children's and teen & young adult science fiction & fantasy book, Zephyr The West Wind, gave him a splendid canvas for original music and a chance to display his mastery of virtual orchestra composition, while the wonderful instrumental textures illuminate the classical music influence. The soundtrack opens with the vibrant melody of "Zephyr's Letter" and from the outset Tolson's unique ability to convey the fantasy, fairy tale & folklore filled world of myths, legends, paranormal creatures and magical realism resonates. Whether it be a plaintive and haunting passage like "The Trial of Adulthood: Barghest's Theme" or a remarkably beautiful, heartfelt piece such as "Zephyr's Travels (Tyring Theme)" and "Leon's Theme" or a light and playful exuberant composition like "Autumn's Theme" and “Awakening”, Tolson captures the mood wonderfully. The darker, threatening moments within the metaphysical & visionary novel are masterfully presented in the tracks, "Deadly Encounters" and "Chaos". In essence, the subtlety of the compositions and Tolson’s ability to conjure complex emotions are evident throughout this extraordinary original book soundtrack.